In the last post, we started looking at some of the logical fallacies and false assumptions that require the Church to be removed prior to the start of the Tribulation period. In this post, we'll continue where we left off. 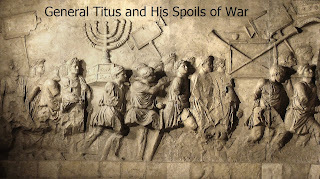 It is argued that the emphasis of the Tribulation is primarily Jewish in the Old Testament; there is NO mention of the Church. This is true. However, isn't this exactly what we would expect in prophecies that were given specifically to the nation of Israel? 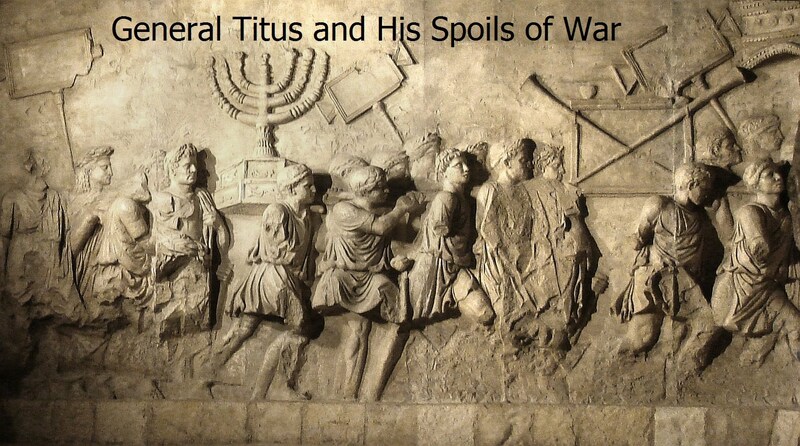 We could just as easily argue that the absence of the Church from prophecies predicting the destruction of Jerusalem in 70 AD prove that the Church would be raptured before the coming of General Titus. No, an argument from silence never proves anything. In Matthew 24, the Lord Jesus talks with his disciples about future things. This is known as the Olivet Discourse because it takes place at the Mount of Olives. Because the Olivet Discourse is addressed to Jews, and because it primarily concerns Jews, then the Tribulation period is about the Jewish nation; it is NOT about the Church. This is incorrect on many levels. We've already shown that the 'elect' of Matthew 24 are believers, so the subject of the Olivet Discourse is the future of the Church (specifically at the end of this age). The audience is also comprised of believers, not unbelieving national Jews. This discourse was given to the Lord’s disciples just two days before the Upper Room Discourse. Yet another argument used to exclude the Church from the Tribulation is the extensive use of Jewish terminology in the book of Revelation. There is mention of the temple, the incense, the altar, the tribes, etc. This is true. The terminology does hearken back to the Old Testament. But that is merely because the Old Testament priesthood was a shadow built upon the reality found in Heaven. Listen, if there is a “great multitude” of blood-bought martyrs who come out of “great tribulation” (Rev. 7:9), of all nations, and kindreds, and people, and tongues, HOW IS THE TRIBULATION PRIMARILY JEWISH? If anything, it is primarily about the Church! Isn’t it amazing that the absence of the word church in Revelation chapters 4-19 proves to the pre-Tribulationist that the Church is not on the earth during the Tribulation, and yet the word church is not in Rev. 4:1 either, but EVERY pre-Tribulationist sees the Church in this verse! If the absence of the word church in Rev. 4-19 proves that the church is not on earth at this time, it must also prove that the church is not in heaven at this time. Apparently, the Church just disappears for seven years! This is logical ending of such faulty reasoning which is necessary to hold to the belief in a pre-Tribulation Rapture. Many hyper-dispensationalists say that the books of Hebrews, James, and I & II Peter are written for the Tribulation saints, and not for today's Church. They are 'time capsule' epistles, it is taught. If this is so, how do these poor Tribulation saints call for the elders of the “church” when they are sick (Jms 5:14), if the Church has already been rapture out? Thank you again for your time! God bless!